I know that a lot of hikers like to shoot video, so I thought I would do a tutorial about how I set up my camera stabilizer. There are a lot of things that factor into a nice hiking video. If you’re not using a stabilizer, you really won’t be able to get a good shot if you’re walking and shooting at the same time. I put some side by side footage in the video above. The results are pretty drastic. There are a lot of times when using a handheld camera stabilizer can really come in handy. You obviously won't be able to set up a tripod and a dolly and start wheeling around your camera in public wherever you want. 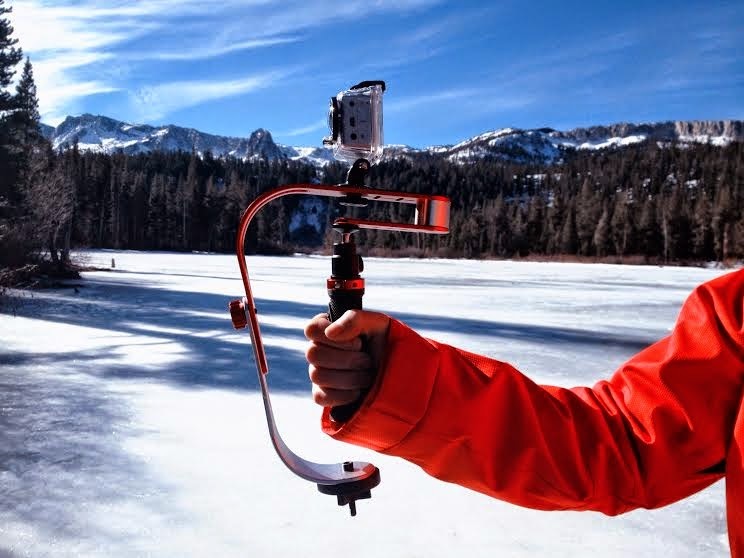 A handheld stabilizer is also great in a situation where space is limited. Before you hit the trail, you should practice walking backwards with the stabilizer while keeping your subject at an equal distance from the camera to keep them in focus. Here is an example that shows what you can do with a stabilizer in a confined space on the fly. We were actually scolded by the woman working the sunglass hut for shooting without her permission, but we were finished before she could even complain. I’ve used a couple different models in the past, but I’ve finally settled on a Roxant Pro video stabilizer. They sell for around 60 dollars on Amazon with free shipping. I really like the build quality. It’s also really light, you can fold it up and it works great with with my GoPro, my point and shoot and my Canon DSLR. I also like that the Roxant Pro stabilizer is easy to customize. I’ll show you in the video how I use washers to fine tune it. 1. Tracking shot while trail running: On a wide trail you can actually run alongside someone and film them with a wide angle lens and get a really great shot. 3. You can shoot a tracking shot of someone hiking on an adjacent trail with the subject approaching the camera at the end of the shot. 4. 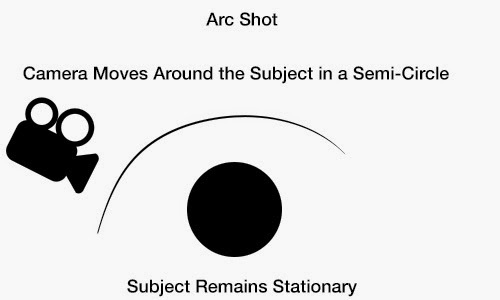 Match cuts- As the name implies, in a match cut an element in the second shot matches an element in the first shot ie. A man furiously playing a video game cuts to another man furiously cutting down a tree. These look really cool with a stabilizer because you can move in on the subject and then cut to a close-up in the match-cut and then pull back. 5. You can shoot a handheld shot where the subject approaches the camera to be framed in a close-up. You can use a quick release with your stabilizer and permanently attach the plate so that you never have to adjust the camera again. You can just pop the camera on the quick release and start shooting. You want to use a wider angle for a steadier shot. The more zoomed in you are, the shakier your shot will be. Don’t try to walk around zoomed in to 200mm and try to get a shot. Try to use the maximum frame rate on your camera with a stabilizer so you can slow down the footage later on. At 60 frames per second, you can slow down ten seconds of good skateboarding footage into 25 seconds of slow motion footage. Practice makes perfect with a stabilizer. You need to learn to squat down and walk like a duck to get a steady shot. Make subtle changes in direction to achieve a good shot. And pay attention to the direction of the wind.